As a result of the unstable economy, many adults have been forced to work longer hours or multiple jobs, resulting in less time to care for their elderly parents at home. This is no exception for America's growing Latino population, who often hold caring for elderly family members in high regard as a cultural tradition. Latinos are the largest racial and ethnic group in the United States, and they comprise two-thirds of Americans with limited English proficiency (LEP). Language and Latino subgroup data are critical for public health and social justice, but are not routinely collected. Dr. Glenn Flores, Distinguished Chair of Health Policy Research at the Medica Research Institute, addresses these issues in the Journal of Healthcare, Science, and the Humanities in the article, "Getting the Data Right for Latinos: Appropriate Language and Subgroup Data are Critical for Public Health and Social Justice." More than 10,000 adults offered their thoughts on health care reform, immigration, climate change and other issues. To capture a demographically and geographically diverse snapshot of the electorate, the survey queried more than 10,000 people and was conducted in five languages. Initial findings from a UCLA-led nationwide survey of more than 10,000 adults reveal some of the differences and similarities among whites, blacks, Latinos and Asians when it comes to the White House agenda on immigration, taxes and health care reform. 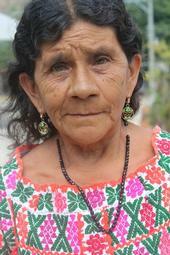 On any given day at the Salud Clinic, Lucrecia Maas might see 22 patients. They come to the community health center tucked away in an office park here needing cavities filled, prescriptions renewed and babies vaccinated. When they start to speak, it's rarely in English. Sometimes it's Hindi. Or Dari. Or Hmong. Or Russian. Maas is fluent in English and Spanish, but that gets her only so far. She often has to hop on the phone with a medical interpreter, who relays her questions to the patient and then translates the patient's answers. “It just takes a little more time,” the nurse practitioner said.